You might have heard of Triplebyte, a fellow Y Combinator alum. Their mission is to give engineers a chance to better show their strengths. They believe that the current hiring process is broken and that whiteboard coding challenges and algorithm questions aren’t a good predictor of success for engineers. 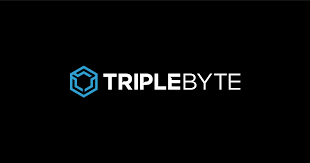 Triplebyte is working to create a new process that will give strong candidates the room to shine. They want to create a standardized system that is free of bias and focused on strengths, not weaknesses. The way they do this is by creating their own technical screen and interview. Companies sign up to work with Triplebyte, thus outsourcing their technical recruiting. If you get accepted into the program, Triplebyte takes a lot of the legwork out of the job application process. Basically, companies come to you. You give Triplebyte information on the types of companies and roles you are most interested in and then they share your profile with recruiters from those companies. When they are hiring, they review your profile and reach out to you for a screen, which is more of a pitch call for the company. If you are interested in continuing in the process, ideally, you are moved straight through to the onsite interview (skipping other phone screens and the technical interviews). Some candidates have mentioned that wasn’t necessarily the case, but for the most part, this is one of the most exciting benefits of the program. Triplebyte is for software engineers who have a lot of experience. Their interview is deemed fairly difficult because they only accept the best into the program so that they can be sure that they are recommending strong candidates to the companies. What does Triplebyte cost? How much work is involved? For candidates, Triplebyte is free. They even cover flights and hotels for final interviews. They are paid by the companies that work with them. There is a fair amount of work that goes into it, both before and during the application process. Candidates must have knowledge of programming (they don’t care if you are self-taught or went to school) and ideally, some professional experience. The process starts with an online quiz. If the candidate passes the quiz, they are invited to a Google Hangouts interview, which includes coding questions and challenges. If they successfully pass that technical screen, they are invited to an onsite or virtual 2 hr final round interview, which includes behavioral and technical questions. Triplebyte explains that candidates should not be able to answer all of the questions asked because the questions are to parse out the candidates’ strengths. For the most part, reviews are fairly positive. Many people have mentioned that it takes a long time to get into the pipeline – after taking the quiz online, it seems there are very few openings for the virtual technical screen. Once you’ve made it through, the interviews are deemed difficult because their model is based on only working with the strongest engineers. While they want to make sure that they emphasize your best topics and not your worst, there have been comments from applicants that the interview questions jumped around a lot and felt a little disjointed. In their manifesto, Triplebyte says they are determined to give every applicant the same questions, so it should be standardized. But, there were also some comments that the interviewer didn’t give the candidate a chance to give reasoning behind their responses. They provide a lot of feedback after the interview so the candidate understands what they did well and what they need additional work on, but it seems they give minimal feedback during the actual interview. There were also a few notes that the interviewers appeared smug or disinterested, potentially because they spend most of their days interviewing. For software engineers who are not accepted into Triplebyte or choose not to do the program, there are a few alternatives. Hired is probably the most well known. Similarly, companies work directly with Hired and “apply to you.” Hired does not have technical interviews, which is a main difference. They also work with other tech roles besides engineers. For more information on Hired, see our review. How does Triplebyte compare to Pathrise? Triplebyte is a marketplace for strong engineers. If you succeed in your Triplebyte interview, it might mean that you are already a strong interviewer. They provide limited help once you’ve been accepted into the program. Triplebyte is free for the candidate, so those in the program can only be matched with companies who subscribe to their service. Pathrise is a bigger commitment because we are a full service organization, working with candidates through all stages of the job search to enhance their soft skills and develop strategies that can help them in the future. Specifically, Pathrise works with candidates on their technical and behavioral interview prep as well as negotiation tactics for offers. We represent the candidates, which means that we can help connect them with any and all companies, not just those in a specific marketplace. Pathrise specifically focuses on current and recent grads.